We love enjoying them in so many different ways for breakfast from spreading jams, butters, and loading them full of eggs. Back in the day, the only time mom would let you enjoy toasted Bays English muffins was in the crisp morning air. Eating English muffins in the afternoon was like wearing white after Labor Day. 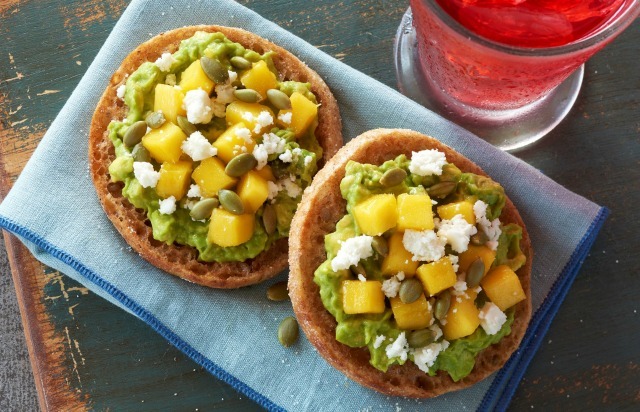 English muffins aren’t just for breakfast anymore, though! Of course, never ignore the mastery of the English muffin for breakfast. If you think your family can’t toss those bagels or trade up from that cereal stock up the pantry with Bays Original, Sourdough, Multi-Grain and Honey Wheat to give you a lot of options to tempt them with. If you need some help coming up with ideas, don’t worry! Bays has plenty of meal ideas for you! I thought I’d share a couple of my favorite from their site that I was able to find! Makes 18 to 20 crisps each. Heat oven to 375oF. Cut 2 whole Bays English muffins (any flavor) crosswise into 1/4-inch thick strips; arrange in a single layer cut sides down on rimmed baking sheet. Bake 9 to 10 minutes or until light golden brown. Let cool to room temperature. (Strips will become crisper as they cool). Prepare crisps as directed above. Place crisps in a medium bowl. 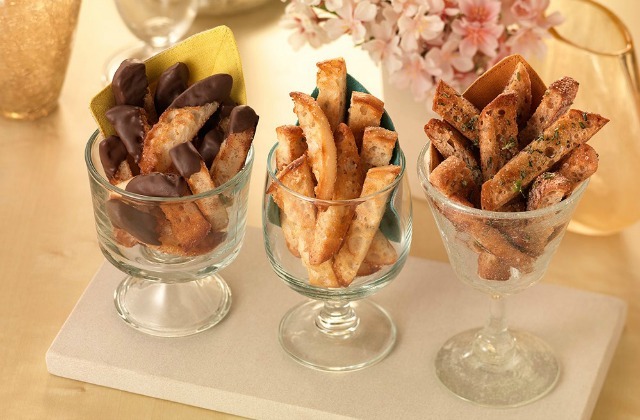 Drizzle 2 tablespoons melted butter over crisps; toss until evenly coated. Return to rimmed baking sheet in a single layer cut sides down. Sprinkle 1 teaspoon dried rosemary, crushed and 1/2 teaspoon coarse sea salt over crisps. Return to oven and bake 5 to 6 minutes or until dark golden brown. Let cool completely. Store tightly covered at room temperature up to 3 days. Sprinkle 2 teaspoons minced fresh garlic, 3 tablespoons grated Parmesan cheese and 1/4 teaspoon coarse sea salt over crisps. Return to oven and bake 5 to 6 minutes or until deep golden brown. Let cool completely. Store tightly covered at room temperature up to 3 days. Sprinkle crisps with a mixture of 2 teaspoons granulated sugar and 1/2 teaspoon cinnamon. Return to oven and bake 5 to 6 minutes or until deep golden brown. Let cool completely. Store tightly covered at room temperature up to 3 days. Spread avocado on muffin halves; sprinkle with salt. Top with mango, pepitas, and herb. *NOTE: Use any of the following fresh herbs, such as mint, oregano, basil, parsley, or cilantro. Serves: 2 Serving Suggestion: Serve topped with micro greens. I just have to try this Bays English Muffins French Toast Recipe! These would be so easy to whip together on school mornings! My kids would feel like it’s such a treat too! And now, after more than 80 years of family tradition, adhering to the authentic, original recipe – – Bays is now available here in New England! You can now find Bays at Tops Friendly Markets – – and to celebrate, packages at Tops will have a $1 off coupon on each package of Bays English Muffins. 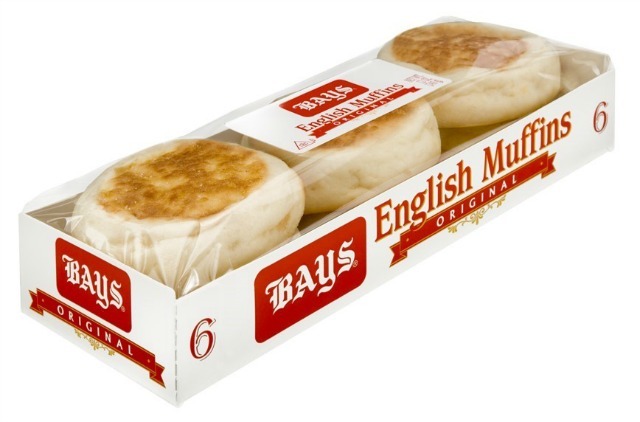 If you’ve never purchased Bays English Muffins before you should know that you won’t find Bay’s in the bread aisle. Bay’s are located in the refrigerated dairy case next to the eggs and milk. 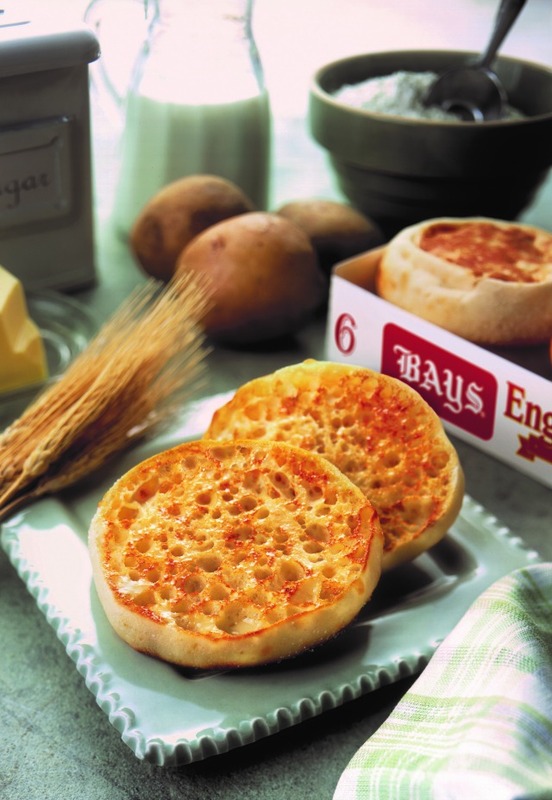 You can get the coupon as well as many delicious recipe ideas to try with your Bays English Muffins by visiting www.bays.com. 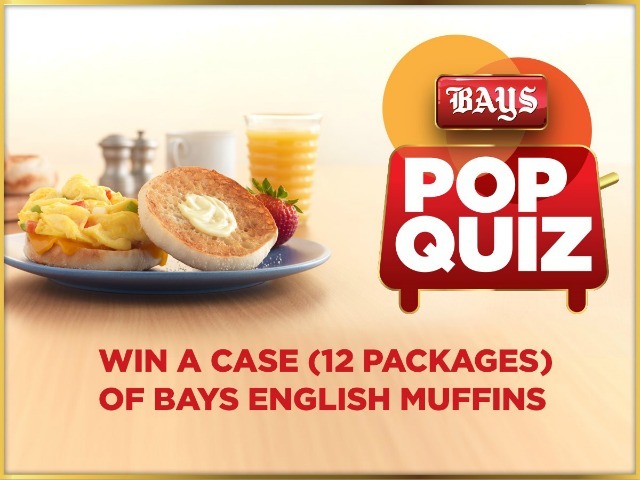 Also, make sure to “Like” Bays on Facebook (www.facebook.com/baysenglishmuffins) for great recipes, sweepstakes, and an ongoing weekly pop quiz to get the brain moving – – then enter for a chance to win a case of Bays English Muffins – that’s 12 packages! I never thought of using them for anything but breakfast. I want to try the Cinnamon Sugar Crisps. Thank you for the suggestions. I love english muffins. Can’t wait to try these! I really like to toast an english muffin and spread pineapple jam and peanut butter on it. So good. I bought some Bays English Muffins and made the Cinnamon Sugar Crisps and dipped them in white chocolate…. yummy. Everyone loved them. I love a toasted. crispy English muffin. I never do anything creative with them, I just put butter and jam. I love english muffins, great ideas on how to make them taste even better! I havent heard of this brand, but we use English muffins all kinds of ways. I like how they hold up and work well with mini pizzas. We do a ‘make your own’ now and again and they are the perfect size. Your post gave me more ideas how to use them! The crisps recipes sound really good! I love an English muffin toasted, so I imagine these are just as good. I never thought of using English muffins like this. Will definitely try these recipes. I just bought a fe packs of English muffins. I dont know why but we tend to eat them in the fall and winter. I remembered your crisps, and did try them! I have to tell you they are terrific dipped in a cup or bowl of soup. I love the flavor combination.